Sun and Cyprus go together hand in hand. And if you're planning a stay in Cyprus, we recommend a hotel that lets you make the most of the sun, sea and sand. Paphos is an excellent place to start. It's a magical place with lots of sandy beaches, unspoilt villages and awe inspiring historical sites to explore. Now you just need to pick the perfect hotel. Just a skimming stone away from the beach, and close to Paphos harbour, the Aloe Hotel is the place to be. Paphos is a great melting pot of activities and great places to eat – you'll find lots of wonderful cafes and restaurants, catering to all sorts of tastes. There are two excellent restaurants at the Aloe Hotel too. And if you feel like taking it easy – and why not, you are on holiday – then you can relax in (or by) one of the two hotel pools, or kick back in the cool Java café and bar. 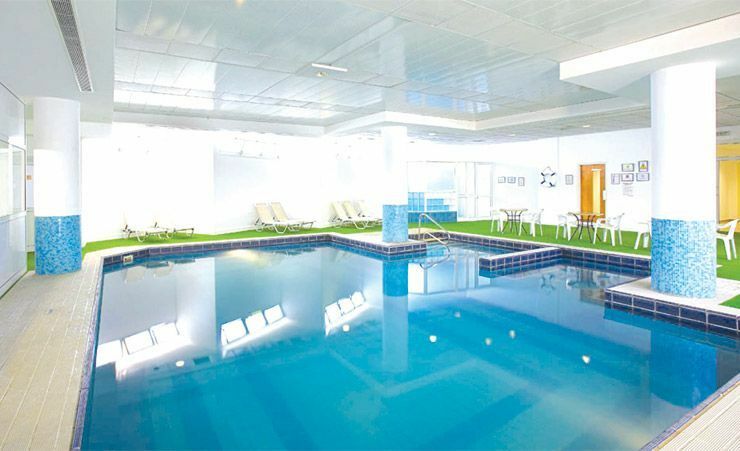 There are also tennis courts and games room, and even access to a diving school. After a day spent having fun, you might want to round things off with a Jacuzzi or massage – both are available at the Aloe Hotel. Rooms are also there to be enjoyed. With exceptional temperature control (whatever time of year you stay), as well as a wonderful balcony with pool view, they're designed to make your stay as pleasurable as possible. 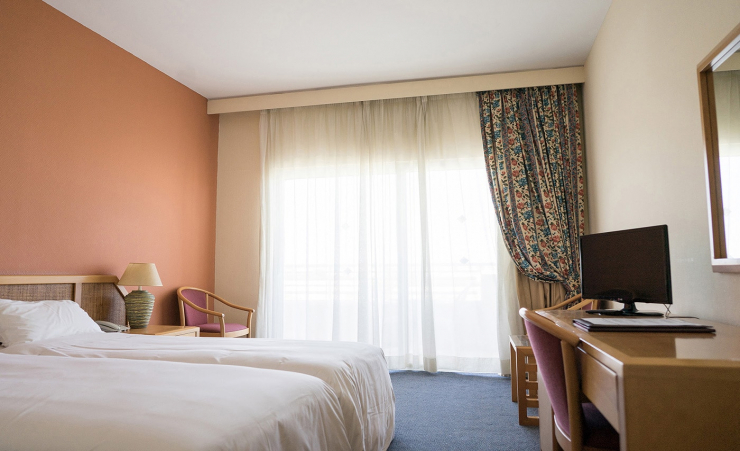 Rooms also feature satellite TV (with a wide range of additional paid channels), telephone, minibar and hairdryer. Please note that this hotel operates a strict dress code at its restaurants in the evenings. 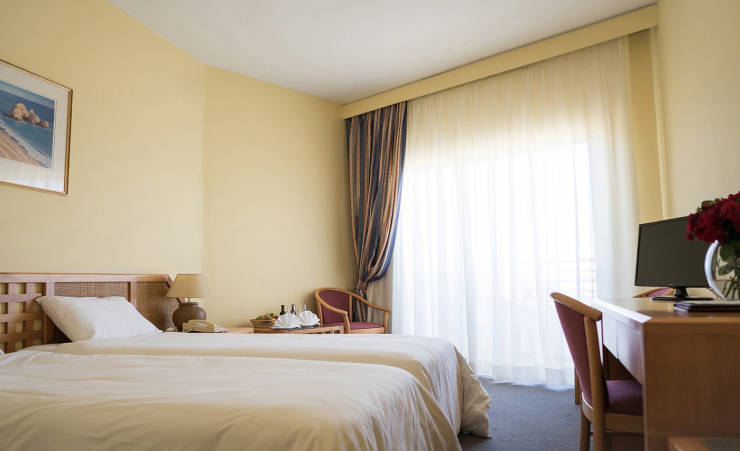 Find out more about your accommodation and the in room facilities at the Aloe Hotel . These rooms have an inland view overlooking the two outdoor pools and the gardens of the hotel. Also available as interconnecting rooms. Comfortably furnished rooms with a view to the Mediterranean sea. These rooms are also available as interconnecting rooms. Beautiful hotel with lovely private gardens and pool area.Courteous,friendly staff,home from home,hence our frequent visits. We had a lovely holiday. Very friendly and helpful. Good value for money and in a good location. 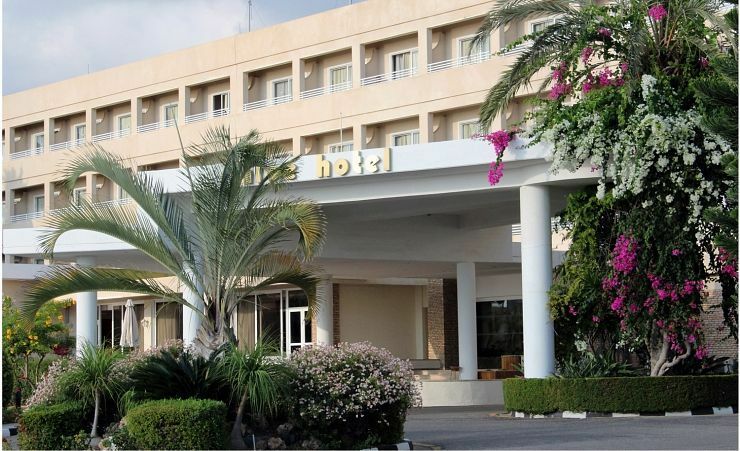 Always a welcoming hotel with very pleasant staff, an excellent position with a twenty minute walk to the harbour and town of Kato Paphos with a very good bus service to various places. Hotel is due for refurbishment but was comfortable and very clean. The staff are so friendly. On booking I advised that I required gluten free food and was provided with 12 gluten free menus on arrival by Reception. The meals were excellent and I couldn't have eaten any better in a restaurant outside of the hotel. I was very impressed. Also the restaurant staff in particular were excellent with this. I would recommend this Hotel to everyone as the staff were polite and cheerful. Excellent service from staff.excellent cleanliness. Very warm & welcoming. I look forward to returning to the Aloe when it reopens. I take a holiday every February & this hotel was definitely the best I've stayed in!! This is our second visit to Aloe Hotel and we weren't disappointed. I emailed the hotel to ask if we could have a room in the same corridor as last year and this request was granted! On arrival there was also a lovely letter in our room welcoming us back. The staff were very helpful and friendly at the Aloe Hotel. My third visit to this hotel. Very comfortable with good service and helpful staff. Happy hour is a good way to make friends and enjoyable, the tea & coffee facilities are reasonably priced and the free fridge was very welcome as was the heating every day at 3.45pm. As repeat guests we were given the room requested so enjoyed the sun on our room most mornings. We really like the location of this hotel and look forward to returning after the renovations this winter. The hotel was very nice, clean and well presented. It had a small indoor pool, but staying in January meant that the outside pool complex was understandably closed. Choice of food was excellent. Pleasant staff throughout the hotel. Excellent value for money. The staff were extremely helpful and very friendly. Quick and courteous at breakfast and dinner. Bar staff full of fun and always smiling. The hotel was in a good location and was very clean and festive. Nothing was too much trouble for the staff. Much impressed with the spaciousness, cleanliness and hospitality of this hotel and the friendlyness of all the staff on all levels. Very warm welcome, friendly. George and his staff were excellent. Best land based holiday for years. Its the people that count, and not the decor. All your staff both in the UK and in Paphos were excellent. The representative Fiona was brilliant. The Rep Fiona had made a map of Paphos which was excellent. Could not fault it at all. All very good. Staff were excellent especially Irini. Food was cooked well and well presented. Hotel surroundings clean and well kept. Room clean and looked after every day. Reception area very well decorated and furnished. Very impressed with all the services arranged for us. The hotel staff were welcoming, helpful, and very considerate to us. We enjoyed our stay at the Aloe Hotel and highly recommend to anyone of all age groups. Loved the atmosphere. Staff at desk very helpful. Breakfast and Dinner staff were AMAZING? Whoever trained them is a gem and the Aloe should keep them at any cost! Only thing which surprised me was that tea and coffee in the room had to be paid for and was not part of the package. I have traveled all over the world and cannot remember not having this provided. Otherwise a super stay . I understand that the hotel has been recently purchased. Hope the lovely wood and windows are kept. Will go there again!!!!!! everything was very good especially the treatment of my wife who was gluten free. 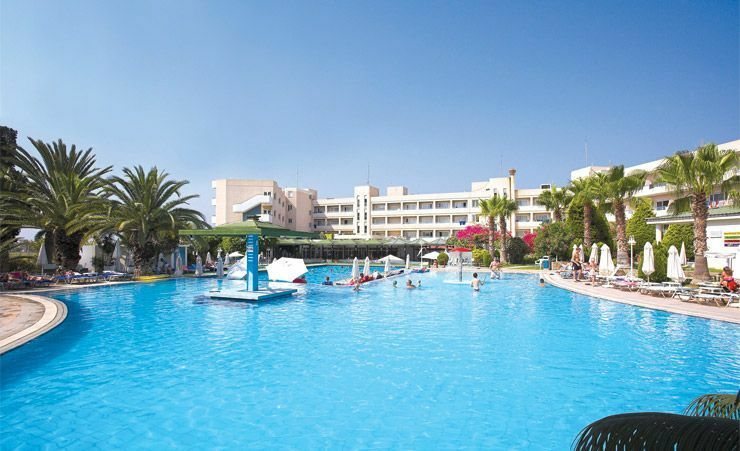 Staff were extremely efficient and friendly, the pool area was lovely and the lounges excellent. We would recommend the hotel for anybody looking for a satisfying holiday. A lovely homely and comfortable hotel. Excellent staff throughout - friendly and efficient. Nice comfortable, quiet hotel and good value. a pleasant, comfortable hotel with friendly and helpful staff. ideally situated close to the beach and town. that extra mile if need be and the facilities were better than some five star which we have been to. There were enough gardens and pools to accommodate everyone. 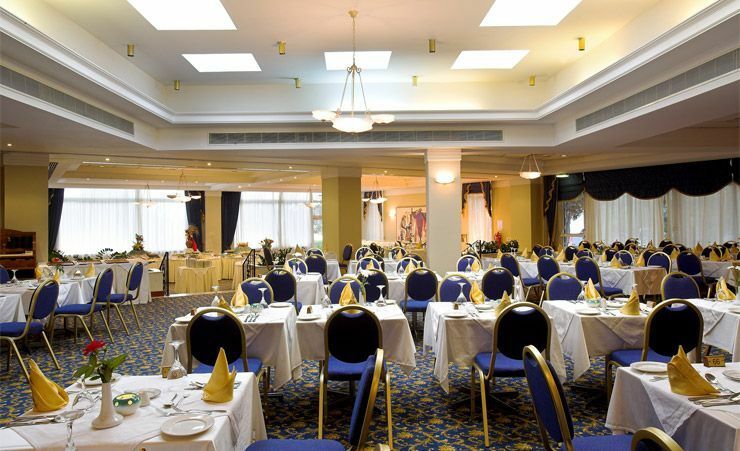 A good value for money hotel in an ideal location with friendly and helpful staff. We enjoyed our stay at the Aloe. We would easily recommend the Aloe for value for money. The staff were very friendly and it was a good relaxed atmosphere. 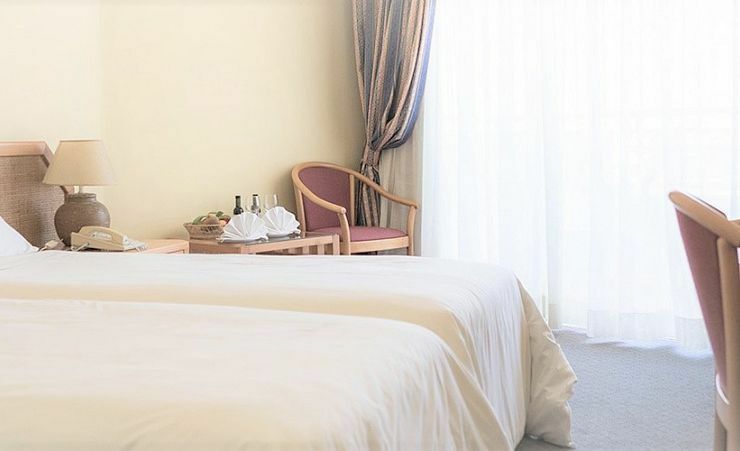 The hotel was very well laid out and we had two rooms with interconnecting doors which was perfect for us. The pools were lovely and could always get a sunbed. Some lovely shaded areas to sit too. The friendliest hotel we have stayed at and the staff at reception are excellent. In need of a little modernising maybe. 2nd visit.Another very enjoyable holiday with you. In a good location for a 10 min walk into Paphos.It offers value for the money paid. A old hotel in need of a make over but the staff all work very hard to keep it spotless.good pool area with plenty of sun beds . Position beach acros s the road,plenty of local bars and restaurants and a short stroll to the harbour.vaule for money. Very happy with our stay at the Aloe. Found the staff to be very friendly and helpful. The food was varied and of very good quality. Hotel was very clean and comfortable. If visiting Paphos again would not hesitate in using the Aloe. we have never enjoyed such a wonderful holiday. the people staying at aloe were so friendly and all spoke to you. people loved it and returned year after year. we sunbathed by the pools in January! 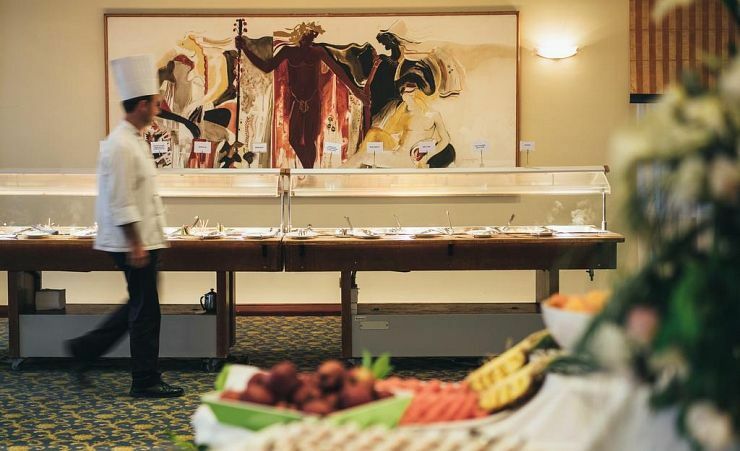 The food was excellent, and hotel very clean. a lovely palm tree walk along the seafront into town. bus stop outside to harbour. bus pass €15 for a week,spent three weeks travelling all over the island. lovely scenery with lots of bananas, oranges and grapefruit trees. I find theAloe excellent value for money.The staff are always friendly and helpful.nothing is too much trouble.And the new manager is certainly making improvements.Just one thing.Can you persuade them to provide another English tv channel.BBC world news is not very entertaining! 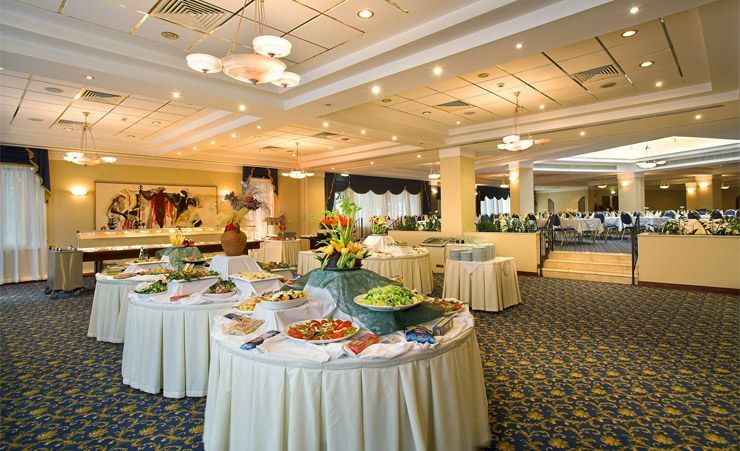 Good value hotel in a good location with friendly helpful staff. A little more evening entertainment would have been good. A great hotel good value for money very good staff premises kept very clean and tidy,will do there best to help. Bedroom cleaning staff are excellent linen change regularly . Friendly, polite and helpful staff. Peaceful and attractive ebviroment. 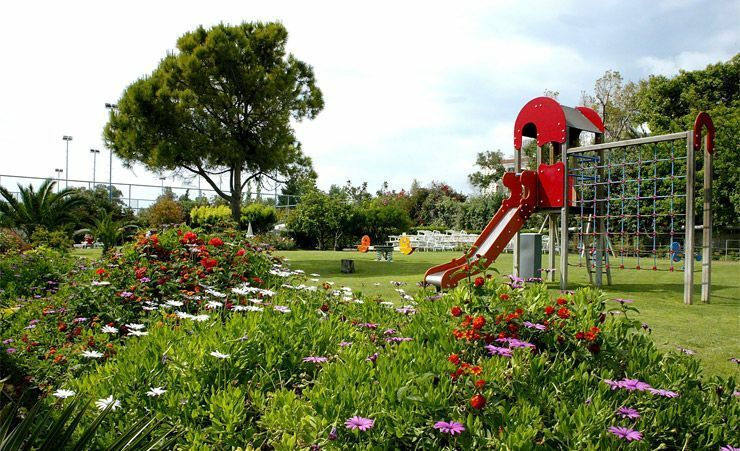 The Aloe hotel is very well appointed and attractive with beautiful gardens and swimming pools. There is plenty of sitting space throughout the hotel. It is situated in an attractive area with a pleasant walk to the lovely harbour. The down side is the food which isn't really 4*. The little fresh fruit at breakfast is disappointing and the evening meals are of a sameness each day which becomes boring. Hotel was clean and comfortable and staff very accommodating. Indoor pool could have been heated!